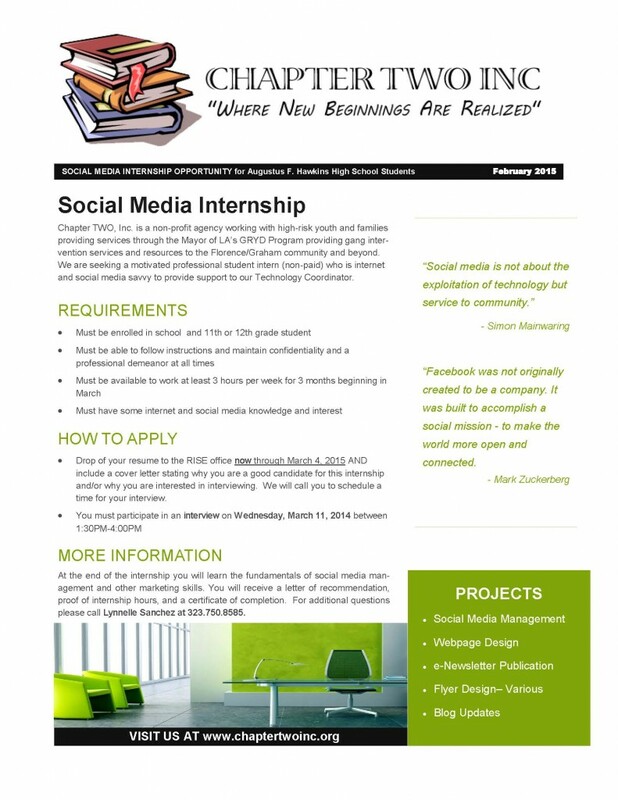 Social Media Internship | Chapter T.W.O. Inc.
Chapter TWO, Inc. is a non-profit agency working with high-risk youth and families providing services through the Mayor of LA’s GRYD Program providing gang inter-vention services and resources to the Florence/Graham community and beyond. We are seeking a motivated professional student intern (non-paid) who is internet and social media savvy to provide support to our Technology Coordinator.